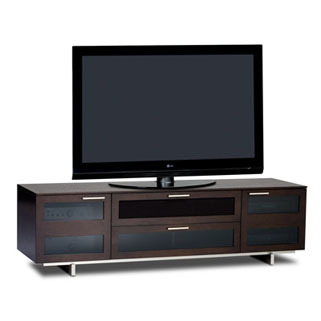 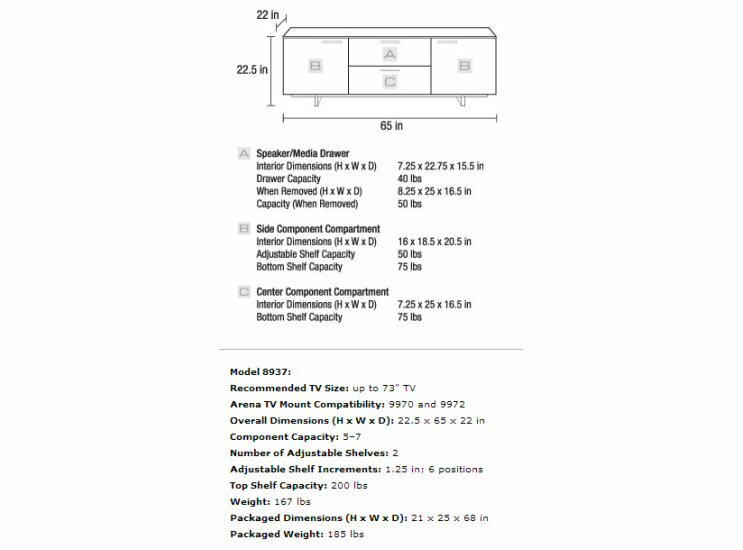 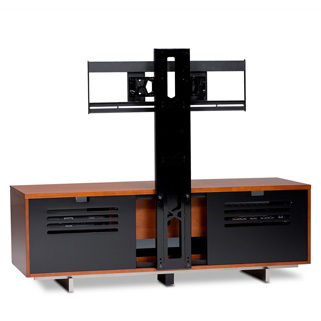 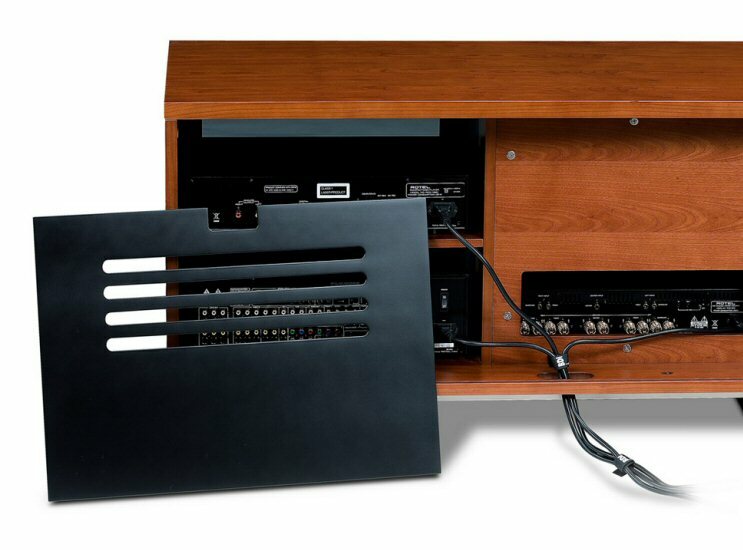 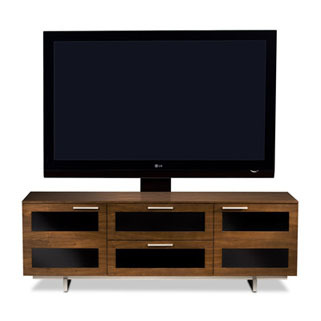 The BDI Avion Noir 8937 Series II is complete with all of the features you would expect from a cabinet bearing the BDI Avion name. 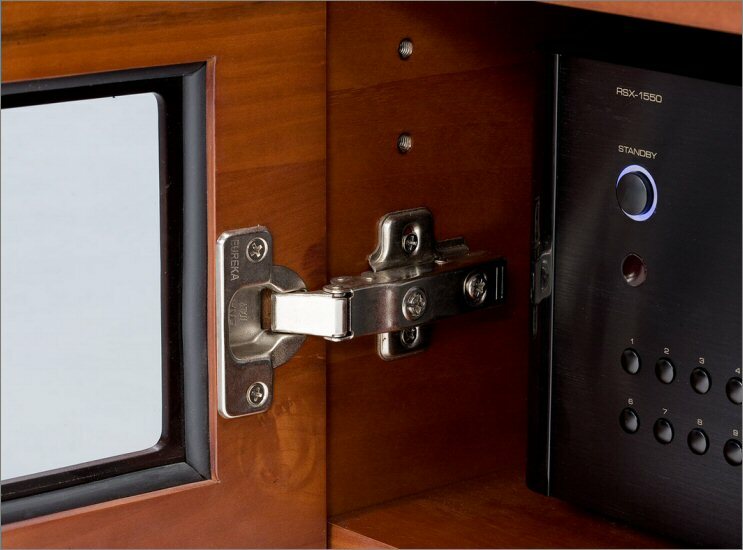 Grey tinted glass doors span the front of the cabinet to conceal and protect a complete home theater system while allowing remote-control access. 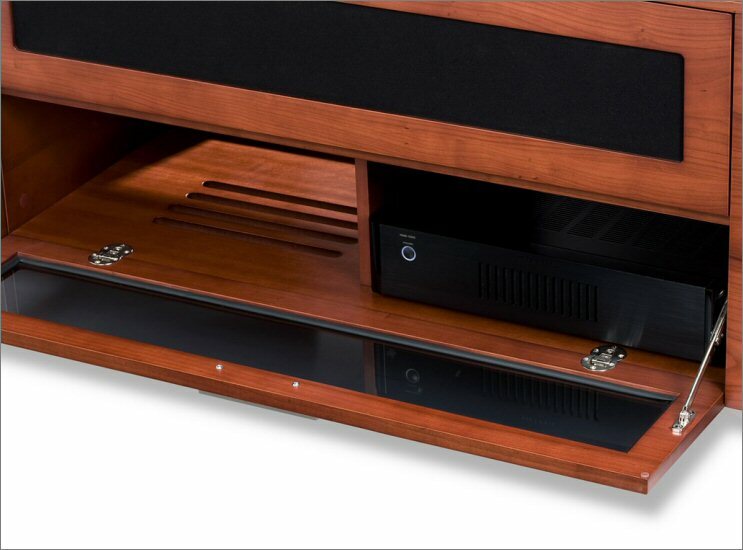 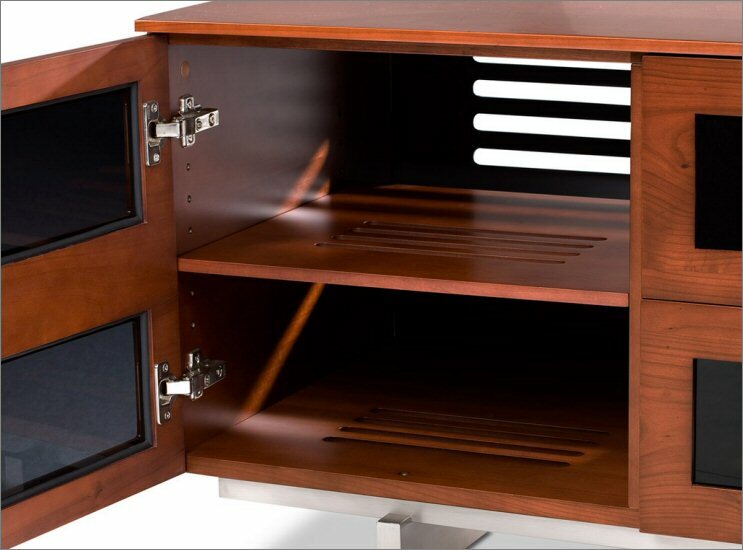 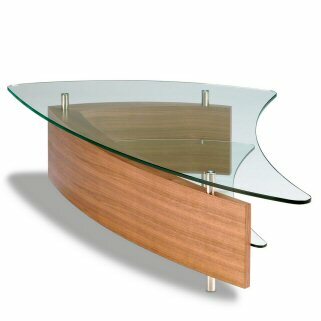 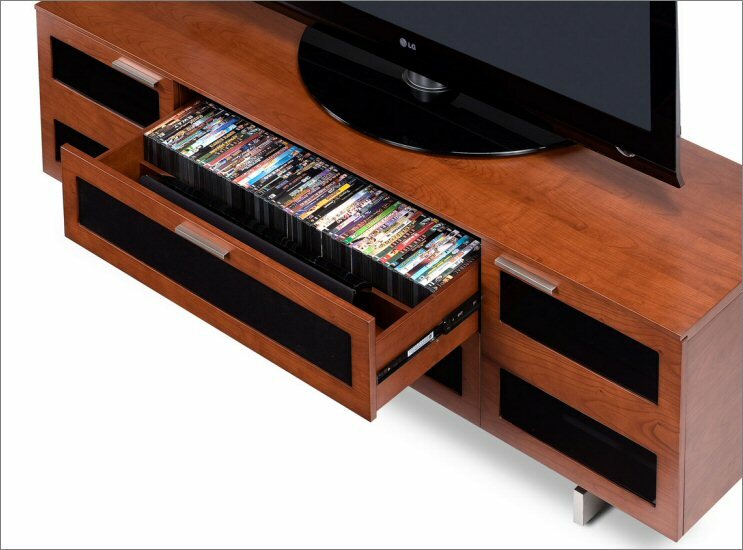 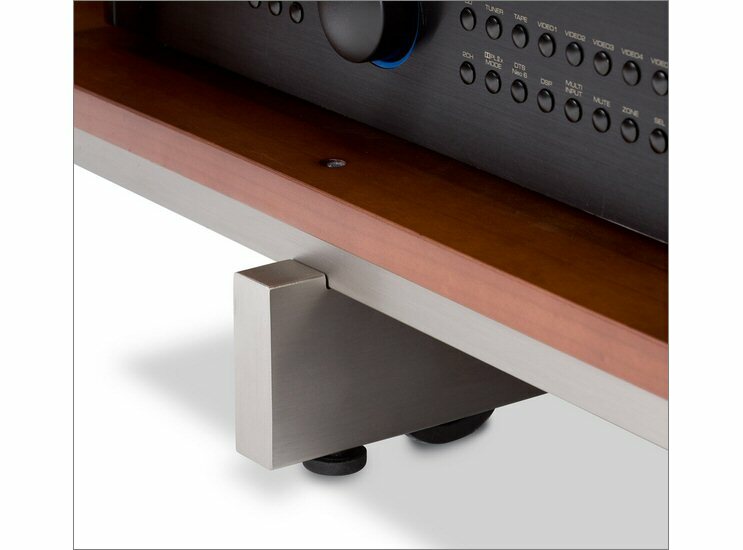 The top center drawer's glass panel can be replaced with the supplied fabric insert, enabling use with a center channel speaker.